Here's the latest in mobile technology. A new mobile travel guide for Cancun was released in July by the The Cancun Convention and Visitors Bureau (CVB). 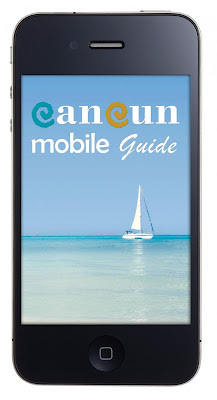 This new mobile app allows travelers to access a variety of information on Cancun, including the best of Cancun along with a complete list of hotels and accommodations as well as local information that's indispensable when traveling abroad. Click here to see exactly what this new mobile guide offers its users.